Research has suggested that the high levels of omega-3 in oily fish can help to protect the eyesight of those suffering from age related macular degeneration (AMD), a condition causing blurry eyesight usually found in older adults as a result of damage to the retina. Fish also contains retinol, a form of vitamin A which has been known to boost night vision. 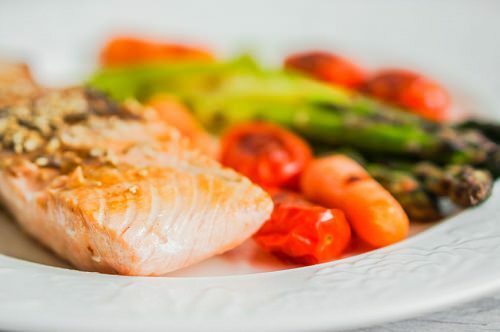 Eat your favorite fish with grilled or steamed vegetables at least once a week to maintain good eyesight.